Under Rep. Henry Waxman's proposed legislation, Toyota's fines could have been as high as $57.5 billion. Proposed auto safety legislation being circulated in Washington would require new technology and sharply raise penalties for violators -- potentially one of the biggest overhauls since rollover regulations were passed a decade ago. Fierce opposition is expected from automakers. And draft legislation seldom makes it into law without significant changes, although the proposals, following Toyota's unintended-acceleration problems and global recalls, come at a time of heightened awareness of auto safety issues. Rep. Henry Waxman, D-Calif., and Sen. Jay Rockefeller, D-W.Va., are working on a package to speed congressional consideration. 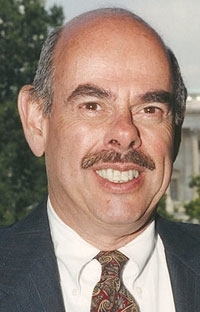 Waxman chairs the House Energy and Commerce Committee; Rockefeller chairs the Senate Commerce Committee. One provision would remove the existing $16.4 million cap on civil penalties against vehicle manufacturers for violations of safety laws and boost the fine for each violation to $25,000 from the current $6,000. That would create the potential for fines into the tens of billions of dollars, because fines typically are assessed on each vehicle produced by a manufacturer that is involved in a violation of the rules. Executives who knowingly provide false information to regulators would be liable for fines of up to $250 million. The proposals would require that all vehicles have brake override to ensure that brakes trump acceleration. The government would establish minimum clearances for foot pedals to keep floor mats from trapping accelerators and set new standards on the placement of keyless ignition systems and transmission shift controls. The proposal would give NHTSA the authority to order a recall immediately when regulators find an "imminent hazard of death or serious injury." NHTSA's recent record $16.4 million fine against Toyota for violations of U.S. law could have been as high as $57.5 billion if the proposed Waxman law had been in effect at the time. Responding to the proposed law, Alliance of Automobile Manufacturers spokeswoman Gloria Bergquist said, "Many of the bill's proposals seem to empower lawyers instead of engineers, and we will urge policymakers to focus on measures that enhance real-world safety, which is the mission of NHTSA." Waxman would pay for his proposed changes with a fee for each vehicle certified to meet federal standards. The fee would begin at $3 per vehicle and rise to $9 after three years.